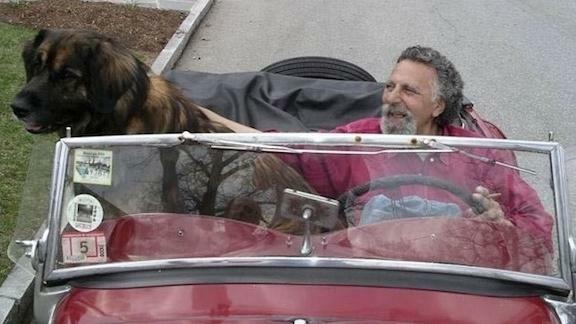 One of public radio's most popular personalities and a great guy, Tom Magliozzi, has died. 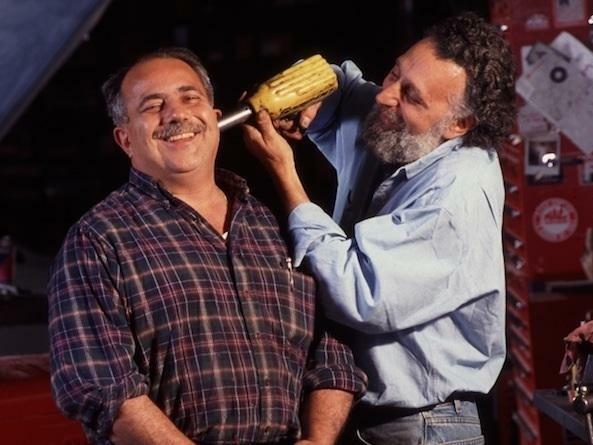 Tom and his brother Ray became famous as "Click and Clack, the Tappet Brothers" on the weekly NPR show, "Car Talk." They bantered, told jokes, laughed and sometimes, even gave pretty good advice to listeners who called in with their car troubles. Tom Magliozzi died this morning of complications from Alzheimer's. He was 77 years old. NPR's Lynn Neary has this remembrance. LYNN NEARY, BYLINE: If there was one thing that defined Tom Magliozzi more than anything, it was his laugh. NEARY: It was loud. It was constant. It was infectious. DOUG BERMAN: His laugh is the working definition of infectious laughter. NEARY: Doug Berman has been the producer of "Car Talk" since 1987. He remembers the first time he ever encounter Tom Magliozzi. BERMAN: Before I ever met him, I heard him. And it wasn't on the air. It was - I'd be working in the station - I was the news director at the time, and I'd just hear this laughter. And then there'd be more of it, and people would sort of gather around him. He was just kind of a magnet. NEARY: The Magliozzi brothers grew up in a tough neighborhood of East Cambridge, in a close-knitted, Italian family. Tom was 12 years older - the beloved, older brother to Ray. They liked to act like they were just a couple of regular guys who happened to be mechanics, but both of them graduated from MIT. After getting out of college, Tom went to work as an engineer. One day, he had a kind of epiphany as he told graduates when he and Ray gave the 1999 commencement address their alma mater. He was on his way to work when he had a near fatal accident with a tractor-trailer. He pulled off the road and decided to do something different with his life. MAGLOZZI: I quit my job. I became a bum. I spent two years sitting in Harvard Square drinking coffee. I invented the concept of the do-it-yourself, auto repair shop. And I met my lovely wife. NEARY: Well, he wasn't exactly a bum. He worked as a consultant and college professor - eventually getting his Ph.D. in marketing. And Tom and Ray did open that do-it-yourself, repair shop in the early '70's. They called it Hacker's Heaven. Later, they opened a more traditional, car repair shop called The Good News Garage. They got into radio by accident when someone from the local public radio station, WBUR, was putting together a panel of car mechanics for a talk show. BERMAN: You know, they called Ray, and Ray thought it was a dumb idea so he said I'll send my brother. And Tom thought, great, I'll get out of, you know, breaking my knuckles for a couple hours. And he went over, and he was the only one who showed up. NEARY: Doug Berman says the station liked what Tom did and asked him to come back the next week. This time he brought Ray. The rest, as they say, is history. In 1987, "Car Talk" went national on NPR. MAGLOZZI: Hello, and welcome to "Car Talk" on National Public Radio with us, "Click and Clack, The Tappet Brothers," and we're broadcasting this week from the observation deck here at "Car Talk" plaza. NEARY: The Magliozzi brothers were a huge success. Listeners loved their blend of humor, passion, expertise and just plain silliness. UNIDENTIFIED MAN: This is the only theory of which I am sure - in the entire world. You know, I don't know whether the world goes around the sun or vice versa. I don't know any - I don't know about electromagnetism, but I do know that it never pays to buy a new car. UNIDENTIFIED MAN #2: (Singing) Don't know much about biology. UNIDENTIFIED MAN: Hey, aren't you glad you call? NEARY: When it came to cars, Berman says, the brothers really did know what they were talking about. But he says, that's not why people listened to the show. BERMAN: I think it has very little to do with cars. It's the guy's personalities. It's, you know - and Tom especially. He's really a genius with a great facile mind, and he's mischievous. He likes to prod people into honest. NEARY: Berman remembers the time a woman called in because she had failed to pay a toll on a bridge and was worried about getting caught. Tom had the idea of calling the person in charge of the bridge. The ensuing conversation is hilarious. UNIDENTIFIED WOMAN: Why do you have to have a coins only lane? UNIDENTIFIED MAN #3: Well, we do have some to service patrons who have a computation sticker on their window. UNIDENTIFIED WOMAN: I don't think they're marked very well on because I didn't see it until last minute. UNIDENTIFIED MAN: A little feisty for a law breaker, isn't she? UNIDENTIFIED MAN #2: ...Cool it or we're going to give them your name. UNIDENTIFIED MAN #3: By the way, Gale, there is no statute of limitations on this. We can find you, and we will find you. NEARY: It is almost impossible to talk about Tom Maglozzi without talking about Ray. Berman says the affection you heard on the radio dated back to their childhood, and it was real. BERMAN: For Ray - he idolized Tom. This was, you know, this was the guy who sort of introduced him to everything in life. And Tom liked having his little brother around. He liked the guy. And so when they grew up, they were really, really great friends. NEARY: Tom and Ray have not done the show live for two years. "Car Talk" has been airing archives of old shows, and Berman says Ray would like to continue doing that as a tribute to his brother. Lynn Neary, NPR News, Washington. Transcript provided by NPR, Copyright NPR.